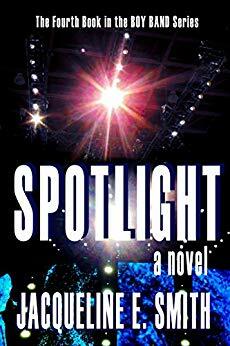 Stories To Tell: The spotlight shines on a couple, but which is the right one? The spotlight shines on a couple, but which is the right one? Jacqueline does it again with her brilliant conversation, plots between characters, and constant shifting of the chess pieces. With a unique look through the eyes of Mel, we see how harsh fame and fortune can be on those truly in love. The emotions among the members of the group are still running high, plans are in place, and events set. For those who do not like Tara, it’s a runaway train that’s going to destroy them all. Between plotting and counterplots, misdirection and paths unexpected, Jacqueline keeps the reader engaged until the very end. If you’ve read the other books in the series, don’t miss this one!